With Liverpool handed a two-year ban on signing academy players – the second year of which is suspended – the club faces a fight to restore their reputation as a jewel of youth development. The Reds were fined £100,000 and banned from acquiring youngsters from fellow English clubs until at least 2017 after breaching Premier League regulations. Stemming from their involvement in tapping up an 11-year-old Stoke City player, before reneging on an offer to pay for his private tuition, this is a controversial blow for the Reds. And though the second year of their ban is currently suspended, this stands to affect Liverpool on a significant level. In the aftermath of the club’s sanction, it must be noted that their transgression is largely felt to be due to a technicality, due to a change in ruling during the process. Liverpool are said to have pulled out of the deal after it transpired that they would be required to offer all of their youth players the same level of tuition. 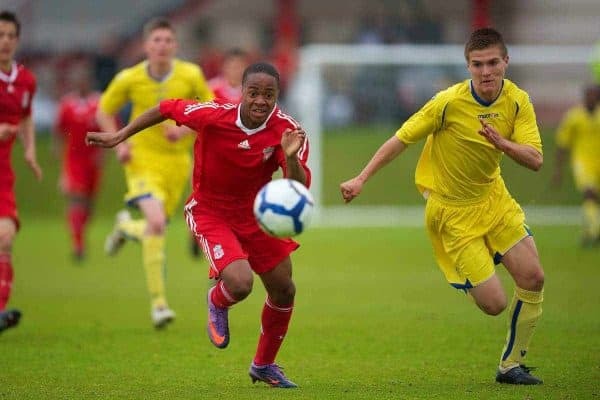 Instead, the club seemingly preferred to retain their association with Rainhill High School, whose alumni includes Raheem Sterling, Andre Wisdom, Jordon Ibe and Ben Woodburn. Nevertheless, it remains a frustrating development for the Reds on a number of levels. Superficially, a one, two or even three-year ban—if they are found guilty of breaching regulations again before 2020—would impact the calibre of youngsters Liverpool could sign. Two key examples of this are Sterling, who joined from Queens Park Rangers in 2010, and Ibe, who moved from Wycombe Wanderers two years later, with both going on to become first-team players. Between them, Sterling and Ibe made 187 appearances for the club, before departing for Man City in 2015 and Bournemouth in 2016 respectively, earning Liverpool a combined £64 million. Currently in Jurgen Klopp‘s squad, Danny Ward (signed 2012), Andre Wisdom (2012), Kevin Stewart (2014), Ovie Ejaria (2014) and Sheyi Ojo (2015) would not have been able to make the move to Anfield if the Reds had faced this sanction when they put pen to paper. And beyond the first team, the likes of Yan Dhanda (2013) and Rhian Brewster (2015), two major prospects, would also have been prohibited from signing. Given the Liverpool Way is firmly rooted in the club’s academy, this is a stumbling block in terms of ethos. Fundamentally, this sanction threatens to damage the academy’s reputation on English shores. 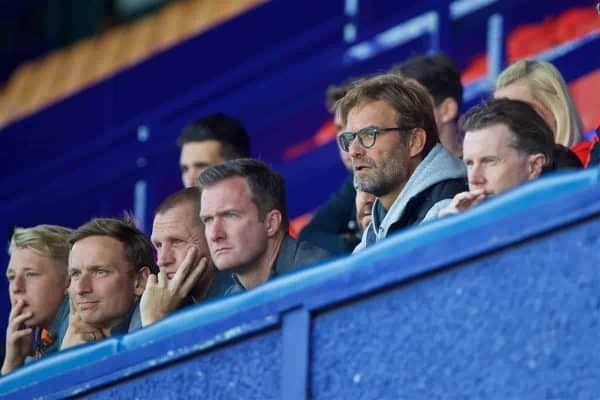 Since the appointment of Alex Inglethorpe as academy director, Liverpool have made great strides at youth level, with the former Exeter City manager focussing on quality over quantity. 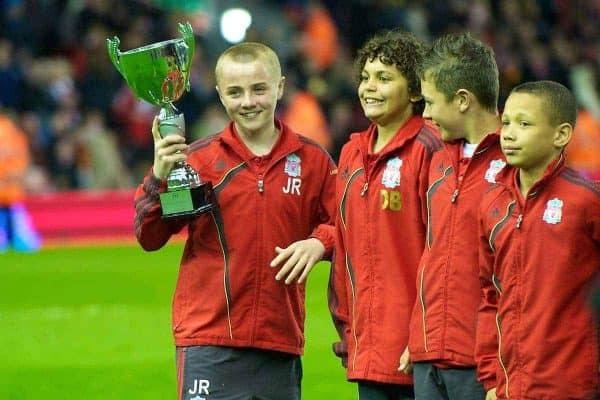 This, combined with the arrival of Klopp in the Anfield dugout, has prompted an upturn in fortunes for youngsters on Merseyside. Klopp has already handed debuts to 11 academy players, with this season bringing first outings for Ejaria, Trent Alexander-Arnold, Ben Woodburn and Harry Wilson. With the impressive Pepijn Lijnders in place as first-team development coach, serving as a liaison between the academy and first team, working with a handpicked ‘Talent Group,’ the Reds are well placed to progress at youth level. This is compounded by plans to merge the club’s training facilities in a new, £50 million base in Kirkby, complete with a 499-capacity viewing stand for parents and guests, with Klopp eager for Liverpool to “set standards” for other clubs. A ban from signing players for this new, improved setup certainly undermines this, and given issues with the club were prompted by the unnamed youngster’s family, this has been hammered home hard. The most important aspect behind Liverpool’s academy ban, however, must be the future of this young talent, who is now left in limbo. A compensation fee of £49,000 is looming over this child’s head, restricting him from joining another academy before Stoke are reimbursed, with the Reds now unable to do so. Furthermore, this has also reportedly left the player’s parents in significant debt due to unpaid school fees—an outside factor that has, miserably, served as the crux of the problem. On a basic level, this debacle could stall, or even end, the top-level career of a clearly promising young talent. This could be the next Sterling, Ibe, Ejaria or Ojo; it could simply be one of the legions of youngsters whose love for the game is sapped by bureaucracy. Either way, this is a frustrating development for all parties and is likely only the tip of the iceberg—with Man City next on the agenda.